"Landmead Memorials have now become part of Williams & Triggs and shall continue as part of our company in providing the quality workmanship seen before." Now part of Williams & Triggs, Langmead Memorials had been providing a quality stonemason service to all their customers for countless years. Now part of our team at Williams & Triggs we continue to ensure quality through a highly skilled and trained stonemason team. 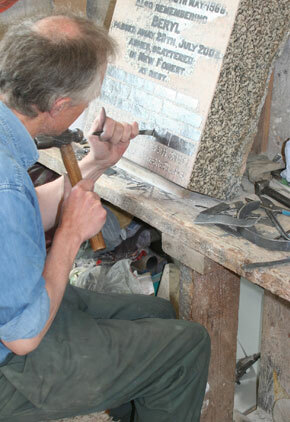 with an experienced and knowledgeable stonemason team. "